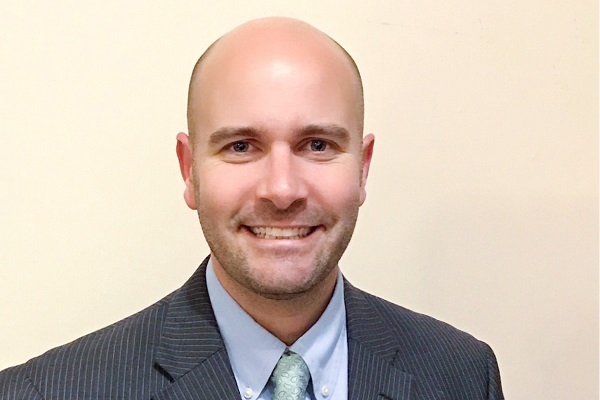 Wildwood Catholic High School announces the hiring of Joseph Cray as principal. Cray was most recently an administrator with Kensington Health Sciences Academy of the School District of Philadelphia. In his seven years at the school, he served several roles including Roster Chair, Operations Officer, Director of Technology, mathematics teacher and entrepreneur teacher. Father Joseph Wallace, president of Wildwood Catholic, said, “I was immediately impressed with Mr. Cray’s enthusiasm and educational acumen. His obvious dedication to the spiritual and academic formation of young people shone through all his answers to our questions during the discernment process. As I was most impressed with his extensive curriculum vitae, I was even more impressed with his knowledge and grasp of the demands of current day academic preparation of our students for their future college careers. “I am very pleased to accept this appointment to Wildwood Catholic High School as their new principal. It is my strong belief that a high school should serve as a combination of character development and educational enrichment. I look forward to continuing and expanding on the school’s fine tradition of academic rigor, athletic excellence and service to the community,” said Cray. For the past several years, Wildwood Catholic High School has been operating under a two dean administrative model, with Administrative Dean Carolyn Miller and Academic Dean Mary Kane. Miller recently announced her retirement and Kane will return to the classroom. Under the principal model, Cray will now assume the spiritual, educational and managerial leadership of the school. Cray received his BA in mathematical economics from Temple University in 2005 and his MA in education from Gwynedd-Mercy College in 2012. He is a graduate of West Philadelphia Catholic High School. Cray currently lives in Swedesboro with his wife Joanne and daughters Olive and Nora, and attends Saint Clare of Assisi Parish. In the summer, the family expects to relocate to North Wildwood. His wife Joanne is an alumnus of Wildwood Catholic High School.